As we anticipated, our lives have taken a pretty dramatic turn – we love a little more, cherish little moments, and sleep a little less, ha! There have been challenging moments and days no doubt, but Chad and I believe we have been fairly lucky with Atticus, as he has both eaten and slept pretty well (knock on wood!!) from the get-go. I expected becoming a parent to be hard – and it is – but I’m pleasantly surprised at how much I like being a mom! 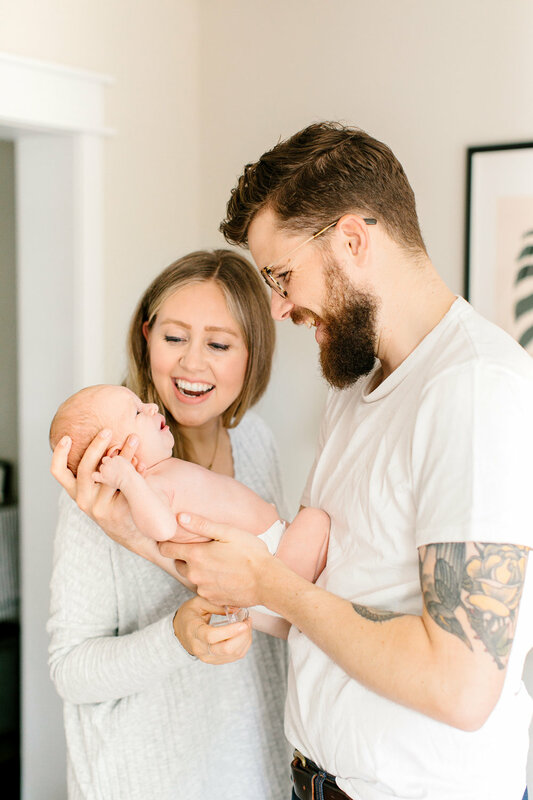 Having a child is definitely something Chad and both wanted, but truthfully I was dreading the first three months… As someone who generally prepares for the worst, I just assumed that our house would be filled with nonstop crying and sleepless nights for at least the first 12 weeks. I’m very happy to report that so far, that has not been the case! 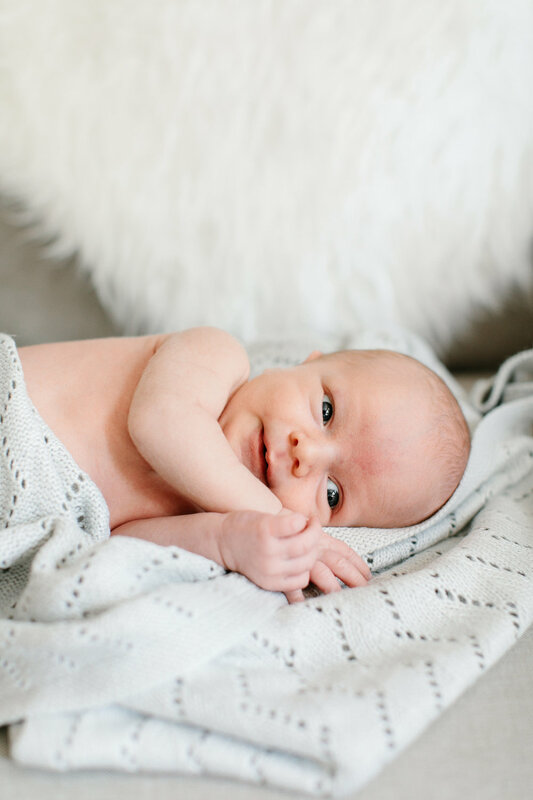 Other than when he is a little gassy, baby Atticus is a pretty content baby and we could not be more in love with him!! Currently I’m really trying to focus on being in the moment with Atti. In the very beginning, I would daydream about when he’s be a little older and the time would come that he could sleep for longer stretches at night or smile at us. And although I still very much look forward to those things and all the other exciting developments that come with age, I’m already noticing how much he’s changed in 4 weeks! It makes me aware of just how precious these moments are and I realize that although I may be sleeping more in a few months, I’ll sure miss this time of his adorable smallness, his sweet cuddles and funny little newborn faces. I’m trying to embrace that although the challenges shift at every stage, there are also beautiful, treasured parts to each age that are unique, and I want to try to focus my energy on absorbing as much of those special pieces as possible! This post has been sponsored by Wayfair, the supplier of the cute Fabric Loveseat featured in the photos. 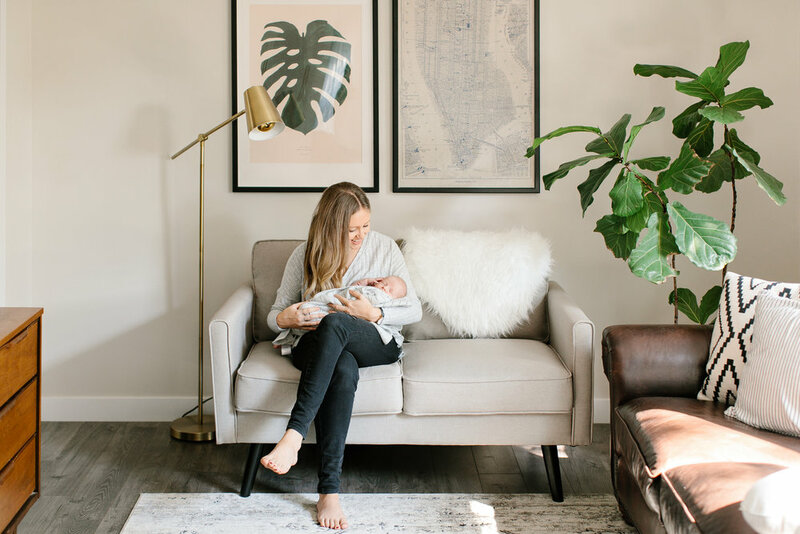 I admit, we picked out this piece prior to Atti’s birth based solely on its dimensions and aesthetic for our living room, but once we brought him home, I learned that not only does it look + fit great in our space, but its petite size and firm cushion make it perfect for nursing!